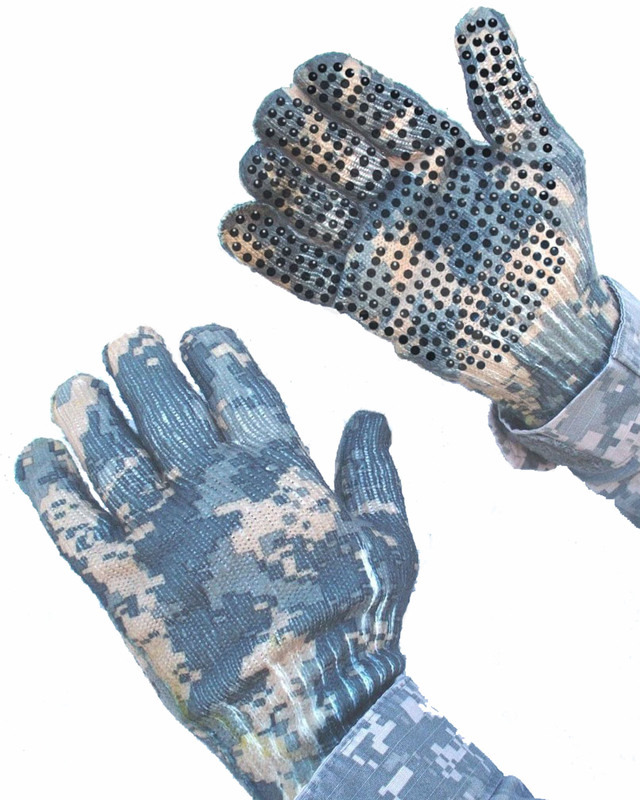 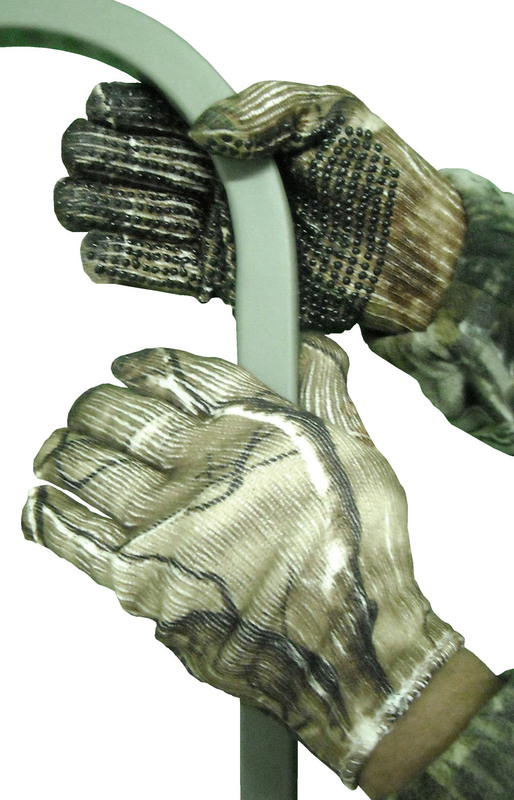 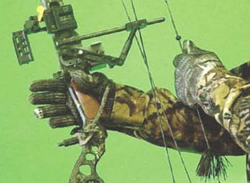 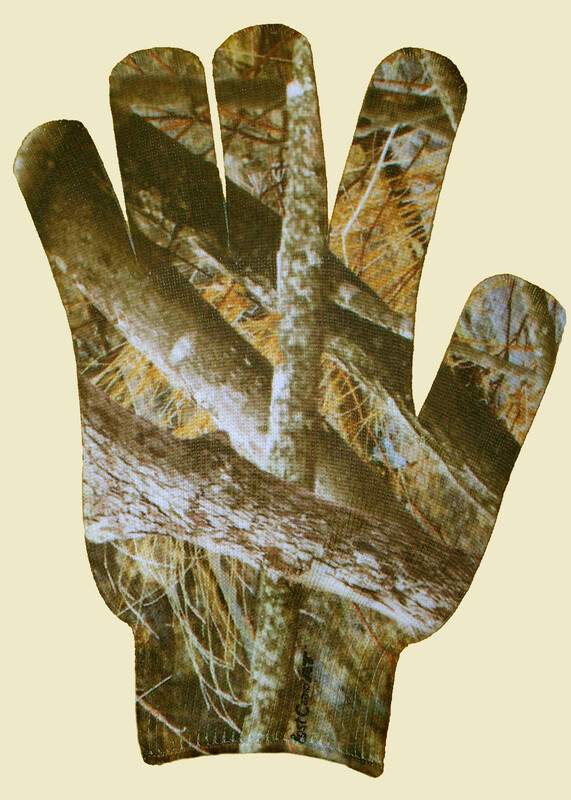 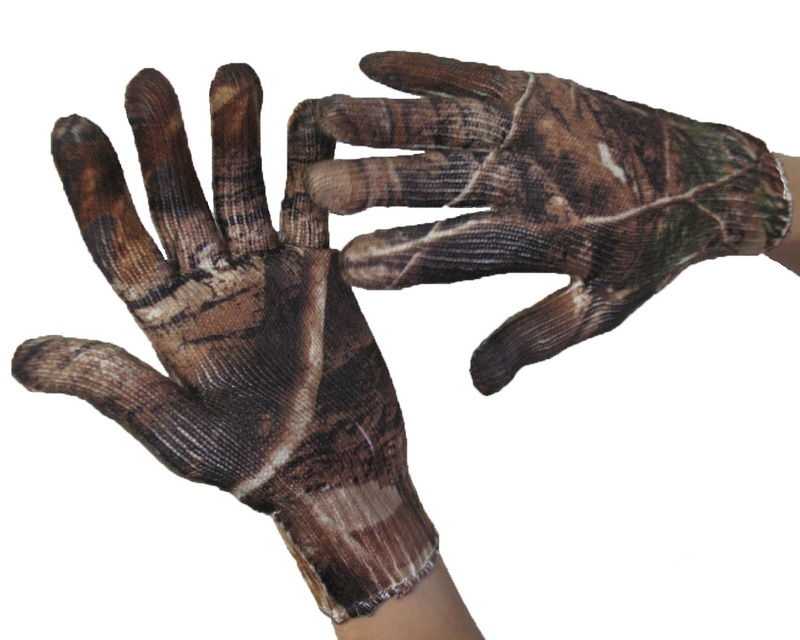 Spando-Flage Gloves | Great Day Inc.
Spando-Hands provide warmth, feel and camouflage. 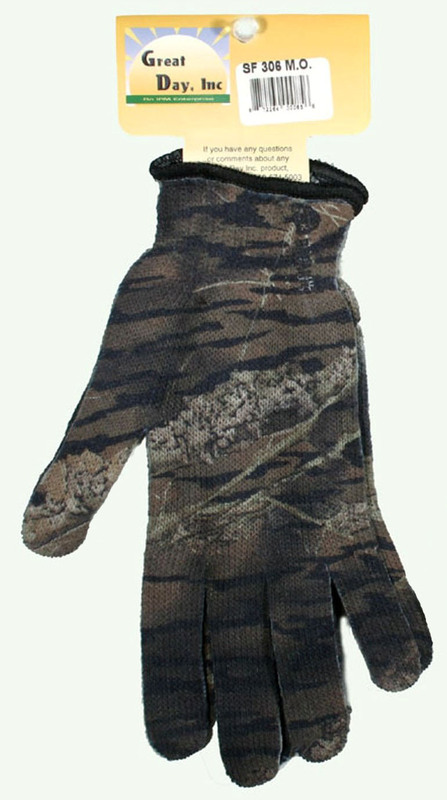 the rugged knit texture is thin enough for sensitive feel, yet thick enough to warm the chill of a frosty morning. 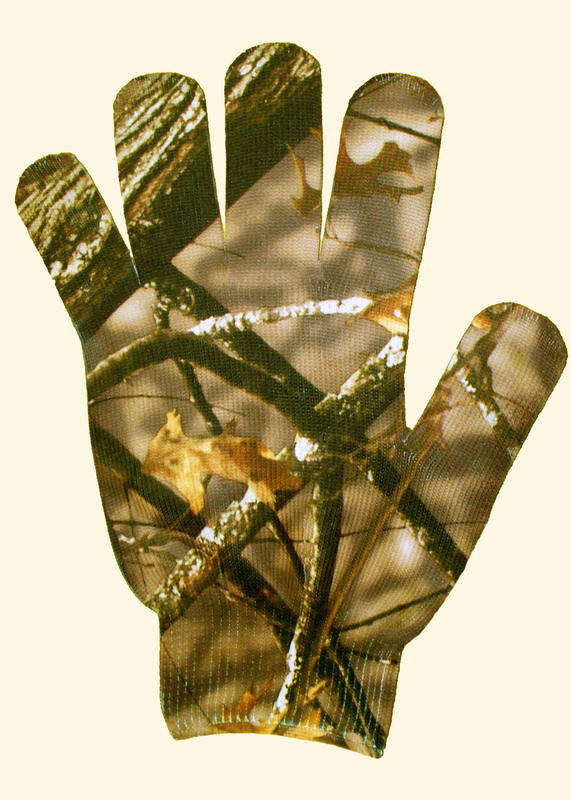 Spando-Hands weigh less than an ounce and can be stored compactly so that an extra pair can be easily carried in a pocket. 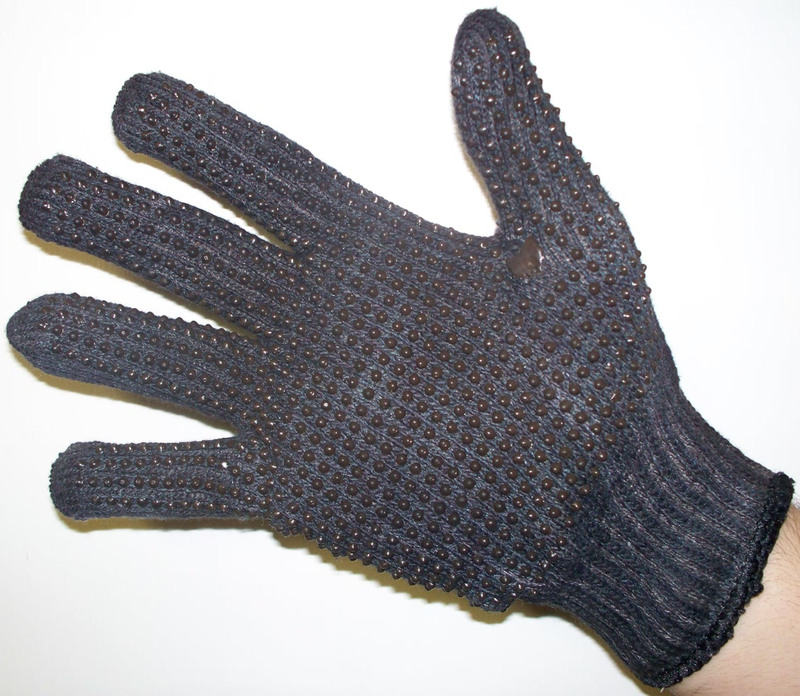 Model #305 Spando-Hands come with gripper dots and Model #306 do not have gripper dots. 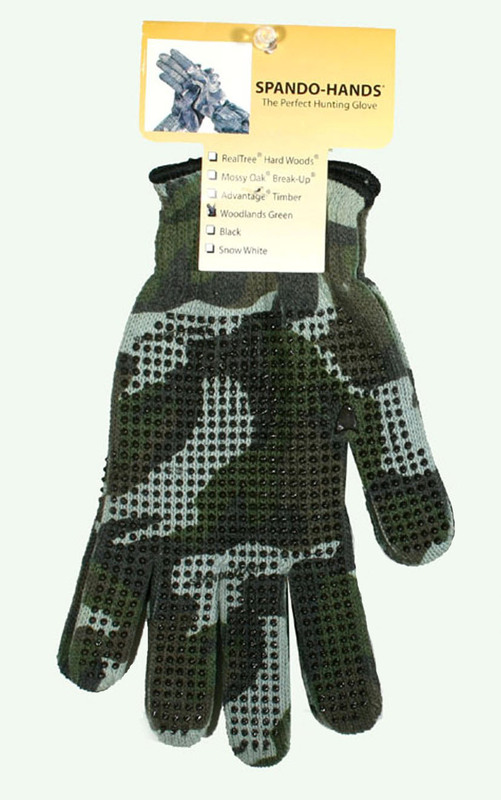 They come in all the popular Spando-Flage colors. 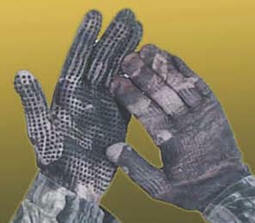 Spando-Hands can and should be washed often to eliminate human scent. 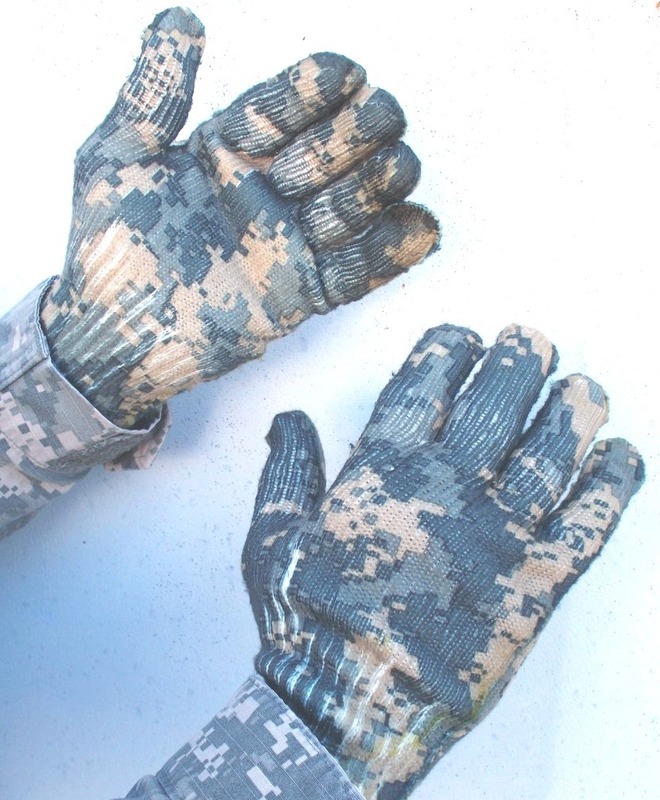 Washing does not cause shrinking or fading.